No pictures found for plate number 6TZM898 in California, United States. click here to add a picture. No videos found for plate number 6TZM898 in California, United States. click here to add a video. 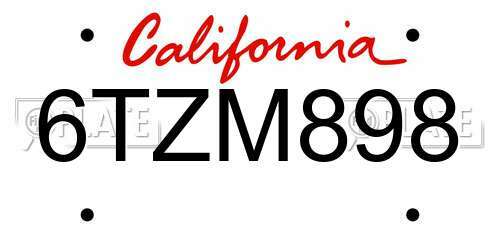 No owners found for plate number 6TZM898 in California, United States. click here to add an owner. No related websites found for plate number 6TZM898 in California, United States. click here to add a related website. DORMAN IS RECALLING 979 STEERING KNUCKLES, DORMAN P/NOS. 697-902 AND 697-903, SOLD UNDER DORMAN'S "OE SOLUTIONS<SUP>TM</SUP>" BRAND NAME, AND NAPA P/NOS. 7-8502 AND 7-8503 WHICH WERE SOLD FOR REPLACEMENT USE ON THE VARIOUS VEHICLES LISTED ABOVE. A POTENTIAL MATERIAL OR DESIGN DEFECT COULD RESULT IN THE STEERING KNUCKLE BREAKING IN THE HUB AREA. DORMAN WILL NOTIFY OWNERS AND REPLACE THE DEFECTIVE STEERING KNUCKLES FREE OF CHARGE AND REIMBURSE THE REPAIR FACILITY OR OWNER FOR LABOR. 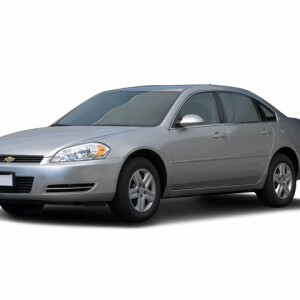 THE RECALL BEGAN ON FEBRUARY 23, 2009. OWNERS MAY CONTACT DORMAN'S TOLL-FREE HOTLINE AT 1-800-523-2492 AND PRESS 5. THIS RECALL ONLY PERTAINS TO AFTERMARKET DORMAN STEERING KNUCKLES AND HAS NO RELATION TO ANY ORIGINAL EQUIPMENT INSTALLED ON VEHICLES MANUFACTURED BY GENERAL MOTORS CORPORATION.OWNERS MAY ALSO CONTACT THE NATIONAL HIGHWAY TRAFFIC SAFETY ADMINISTRATION'S VEHICLE SAFETY HOTLINE AT 1-888-327-4236 (TTY 1-800-424-9153), OR GO TO <A HREF=HTTP://WWW.SAFERCAR.GOV>HTTP://WWW.SAFERCAR.GOV</A> .